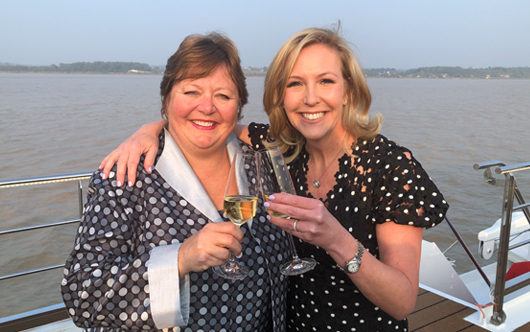 Ensemble Travel Group’s Chris Lackstrom (l) with Uniworld CEO and president Ellen Bettridge aboard the inaugural sailing of the transformed S.S. Bon Voyage in Bordeaux, France. Uniworld invested 12 million euros in its newest Super Ship now sailing itineraries in the Bordeaux region. For more, watch for upcoming issues of Canadian Travel Press.